There are several dangerous animals out in the wild, but what about plants? As it turns out, plants can be just as dangerous as some of the other creatures found in Mother Nature, and the Giant Hogweed is proving this very point. 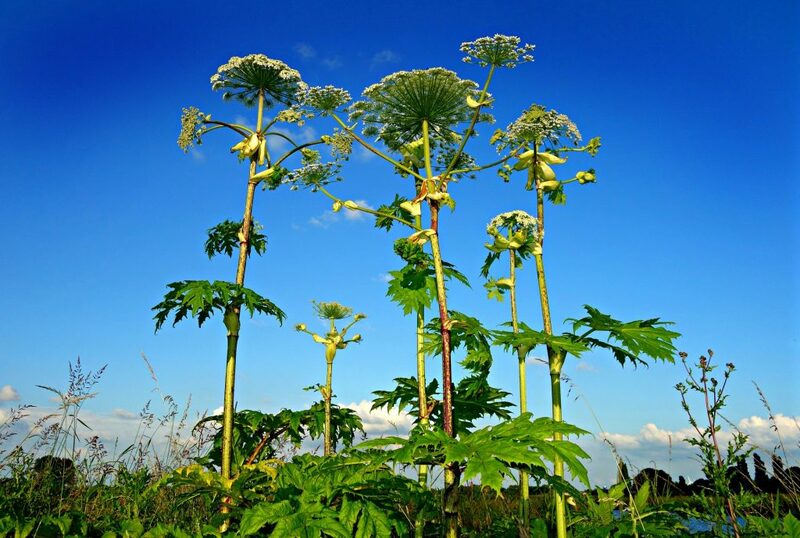 According to news reports, the Giant Hogweed is popping up around Virginia, and there are some substantial claims about exactly what it can do (Saplakoglu, 2018). According to experts, the Heracleum mantegazzianum can supposedly cause intense sunburns and vision loss. “The [plant’s] sap is toxic and basically strips the body’s ability to control the UV radiations from sunlight,” Joellen Lampman, an educator with the New York State Integrated Pest Management program at Cornell University, told LiveScience. In short, an individual who comes into contact with the plant may become extremely prone to burning under the sun. The medical term for this type of burn is “phytophotodermatitis,” a skin condition caused by extreme sensitivity to sunlight. It can result in painful blisters, scarring, and long-term sensitivity to sunlight. But the situation is worse if the sap gets into the eye. According to experts, the toxins of the plant can ultimately cause vision loss. Giant Hogweed is commonly confused with cow parsley. The main difference between the two is found in the stem – Giant Hogweed has a blotchy purple colored stem with white hairs (Sohrabi-Shiraz, 2018). The plant itself is relatively large with thick leaves that can stretch as far as five feet across. At the end of the leaves, there are clusters of white flowers that form an umbrella pattern. In the event that you come into contact with Giant Hogweed, you may begin to form blisters on your light-sensitive skin within 48 hours. They may be painful and form scars that last anywhere from a few months to six years. If you accidentally touch Giant Hogweed, wash your hands with cold water immediately, and stay out of the sun. A skin reaction can happen as soon as 15 minutes after contact. Burns and blisters may be treated with a strong topical steroid by a medical professional, or oral prednisolone in severe cases. In every instance, medical care should be sought immediately. Saplakoglu, Yasemin. “This Towering Plant Is Invading the US, and It’s Causing Serious Sunburns.” LiveScience. Retrieved June 25, 2018, from https://www.livescience.com/62847-what-is-giant-hogweed.html. Sohrabi-Shiraz, Ariane. 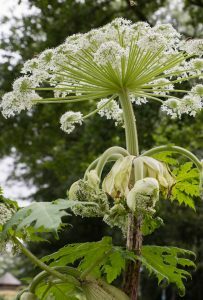 “Giant hogweed: What is it? How to spot UK’s most TOXIC plant – what to do if it burns you.” Daily Star. Retrieved June 25, 2018, from https://www.dailystar.co.uk/news/latest-news/708273/giant-hogweed-plant-burns-what-is-giant-hogweed-blisters-what-to-do.